What is Remarketing and Market Segmentation? Ever feel like someone’s watching you? If you’re browsing the web, chances are someone is watching you. Not in a creepy way though—Google tracks your activity on the internet to better understand the types of products you’re interested in. In fact, many companies use Google AdWords to go after people who abandoned shopping carts on their website or visited multiple pages on the site without actually performing a conversion (the ‘researchers’). Since they know you’ve already expressed an interest in their product, it makes more sense for them to use their resources on you. Think of the cheesy scene in a rom-com where the guy begs the girl to take him back. 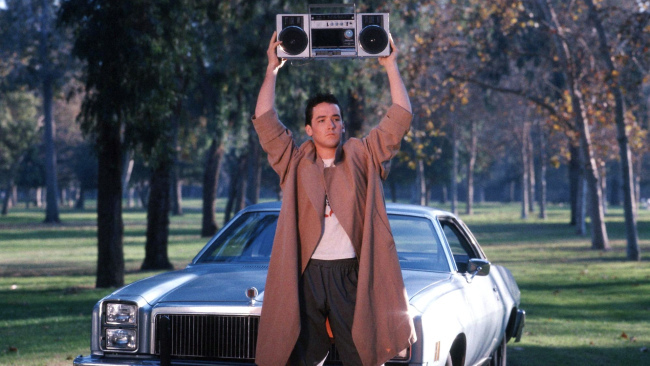 These companies are essentially standing outside your bedroom window with a boom box, begging for a second chance. This process of targeting people who have already visited your website or performed a conversion is called remarketing. It’s closely tied to market segmentation, which is the process of defining and subdividing larger market groups into identifiable segments that share similar needs and wants. Now that we’ve established what remarketing is, let’s go over what a remarketing audience is. Basically, a remarketing audience is “a list of cookies or mobile-advertising IDs that represent a group of users you want to re-engage because of their likelihood to convert”. These remarketing audiences are based on user behavior on your website or app. If you have a list of users who viewed the product-detail pages but didn’t add them to their cart, you might create ads for these high interest items to specifically target ‘on-the-fence’ users. For those who added items to their car but didn’t make a purchase, you might create custom ads with a discount code for the items that they put in their cart but didn’t purchase. You can even create ads for products that are similar to products that a user already purchased. If you don’t want to come off too desperate, you can put frequency caps to limit the number of times someone sees your ad per day. Though this may reduce impressions, those impressions are worthless if they aren’t actually going to result in a conversion. Let’s say you wanted to target people who had put at least one item in their cart without actually purchasing. You would create one list of customers who visited your shopping cart URL and another list of people who had completed their purchase by visiting an order confirmation page. You can then use a custom combination list to remarket to the people who didn’t got through with their purchase. Different segmentation types can help you drive results without wasting effort on faulty tactics. Creating a more tailored experience through audience segmentation based on website interaction, segmentation by time, and segmentation by Google Analytics. Website interaction segmentation is based entirely on the user’s intent, taking into account the bounce rate and behavior flow (found on Google Analytics) of a user. Bounce rate is “single-page sessions divided by all sessions, or the percentage of sessions on your site in which users viewed only a single page”. It’s not necessarily a bad thing if the pages with high bounce rates are blog posts, because people normally only visit a post for that one bit of information. At least you’re getting exposure for your brand, and hopefully that person will share your post on social media. If a few pages are receiving higher bounce rates than others, check to make sure that they correspond with the ads that you’re using to drive users to those pages. Maybe these pages don’t provide easy paths to the next steps you want them to take, in which case some website tweaking might be necessary. You can create a personalized market segmentation campaign by organizing your audiences into ‘researchers’ versus ‘high intent’. Those who would fit under the ‘high intent’ category would be users who made it to a signup/add-to-cart page/lead form before bouncing. A researcher would be someone who bounced after the first page or only visited higher level pages, like the ‘about’ page or home page. Once you’ve got your lists, you can create customized ads to match the needs of your targeted audience members. Segmentation by time involves categorizing audiences by how long ago they visited your site. For the initial phase (within the first week of them visiting your site), you might show a tailored ad with a specific message. Change it up during the second week. If they still haven’t come back after the third week, consider a more aggressive approach (ie: incentives or discount offerings). Another way you can segment is through Google Analytics data. Audiences can be segmented by time on site, number of pages viewed, and Google Smart Lists (generated to maximize your conversions). The machine learning that Google uses draws from several signals, including location, device, browser, referrer, session duration and page depth, to pick the best users to target for your remarketing efforts. It’s updated daily based on the analyzed results. If your website generates less than 500 monthly ecommerce transactions and fewer than 10,000 daily page views, your Smart List is based on conversion data from businesses similar to yours. You can also adjust your bidding to target the people who you see as more likely to result in conversions (ie: your list of ‘high intent’ users). Custom implementation of remarketing may require more IT resources, but it also allows for more advanced categorization of visitors through custom parameters. Like standard implementation, it allows you to create as many lists as you want based on the URL you visited. A con to standard implementation though is that you can only define lists based on your URLs. There are four general types of market segmentation: (1) geographic (2) demographic (3) behavioral and (4) psychographic. Geographic segmentation organizes your target market physical locations, including neighborhoods, towns, cities and countries. These are typically used by international companies or franchises that have to tailor their marketing to fit the local traditions and demands of each location they service. Factors that go into geographical segmentation are language, climate, and lifestyle. Demographic segmentation centers around gender, age, family size and life-cycle stages (ie: married with children, retired, etc.). Behavioral segmentation is divided into four categories—(1) buying on occasion, like holidays (2) buying for benefits, like anti-dandruff shampoo (3) consumer loyalty, meaning retaining existing customers and (4) consumer usage rates, like niche products and services. Lastly, psychographic segmentation focuses on a potential customer’s habits, hobbies, spending habits and core values. An example of some psychographic categories would be people who are concerned with their appearance, people that are career-focused, or people that prefer a small, tight-knit circle of friends. These types of characteristics help you identify your brand’s tribe. Programs like Lucky Orange (based out of Overland Park) allow you to view actual recordings of users that visited your website. Don’t worry—it’s only the actions of their mouse, no laptop camera hijacking. It even tells you where the visitors came from (ie: direct link, Google Search, Twitter, etc.) and what location they’re visiting your site from. Both Lucky Orange and Google Analytics shows heat maps for your website, so you can get a better understanding of how people are interacting with your website. These tools can help you in your remarketing efforts by showing exactly which products are popular (even if they don’t result in conversions). Mazda wanted to bring potential customers into their dealerships to test drive their cars, so they turned to Merchenta (a retargeting software company) to bring in more website traffic to their local dealerships. Their PPC IntelliAds ads converted at a 53% higher rate than the control group, and the value of their car sales through retargeting was 98% higher than the offline average. Their engagement rate jumped to 20% due to their ads. They accomplished this through customized ads based on geographic radius. Those who were close to a specific Mazda dealership received an ad for the nearest one. They also inserted specific Mazda models that the visitor expressed interest in (based on their website activity) and matched the inventory with dealerships that were close to them. A case study that utilized AdWords’ Return On Ad Spending (ROAS) functionality is eBags. They automated their retargeting process through AdWords, then utilized Remarketing Lists for Search Ads (RLSA) to place positive bid modifiers on past purchases and shopping cart abandoners from the past seven days. They also “used Gmail Sponsored Promotions to cross-sell complementary products to people who just bought something from other retailers”. Their retargeting effort created an additional 15% in revenue, suggesting that retargeting is a great way to pinpoint easy conversions. Utilizing market segmentation in your remarketing campaign can create tremendous results for your business. For even greater results, you can look into tracking cookies if you want to build up a profile of all your users. For privacy reasons, it’s imperative that you alert users when cookies are being used. Contact us if you’re interested in learning more about market segmentation and remarketing, or if you’d like to get started on your own digital marketing campaign.